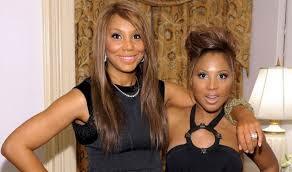 BHR Is Keeping R&B Singer Tamar Braxton In Our Prayers ! BHR Hollywood Reports............Tamar Braxton shared a very personal, painful battle on the latest episode of Braxton Family Values. Of course, Atlanta was the site of Tamar's now-infamous brawl with Vince a few months ago — the one that resulted in a 911 call and a bitten finger. Though Tamar implied that the rumors of domestic violence were a lie, if true, we couldn't think of a worst time for a marital dispute than shortly after a miscarriage. Toni fully understood that Tamar was revealing that she has miscarriage, she offered her condolences and support. She was surprised that Tamar had been carrying this secret for so long, but Toni didn’t fault her for it. “I was really disappointed that she didn’t tell me, but I understood,” Toni said during her confessional. Tamar and her husband, Vincent Herbert, welcomed their son in 2013. More recently, Tamar and Vince have been considering having another baby. On Braxton Family Values, the pair have even been looking for a new home with space to add more members to their family.